In a bid to buttress its own sales, Disney’s time-share business said Tuesday it will impose new restrictions on buyers who purchase their time shares from existing owners — rather than directly from Disney. Disney Vacation Club, which sells time shares as “points” that can be redeemed for stays in various accommodations, said it will no longer allow owners who acquire their points via resales to redeem them for nights in conventional hotel rooms at the company’s five theme-park resorts worldwide, voyages aboard its cruise ships or vacations through its guided-tour operation. Instead, such owners will be allowed to use their points only for stays in one of Disney’s 11 time-share resorts — seven of which are at Walt Disney World — or in third-party hotels available through time-share exchange operator RCI. Customers who buy directly from Disney will still be able to redeem their points at Disney hotels, aboard Disney Cruise Line or through Adventures by Disney. The ability to use points for different Disney vacations is a perk frequently cited by Disney Vacation Club sales agents. A Disney Vacation Club spokeswoman said customers who bought their time shares directly from Disney have requested such a change. “Our members just felt that that they should get more benefits when they purchase through Disney Vacation Club than those who purchase on the secondary market,” spokeswoman Diane Hancock said. She added that the change aligns Disney with other time-share operators who impose similar restrictions on resales. But some company followers said Disney is trying to prop up its own direct sales, which stumbled during the global recession and credit freeze. Disney reported lower vacation-club sales during its 2010 fiscal year, which ended Oct. 2. 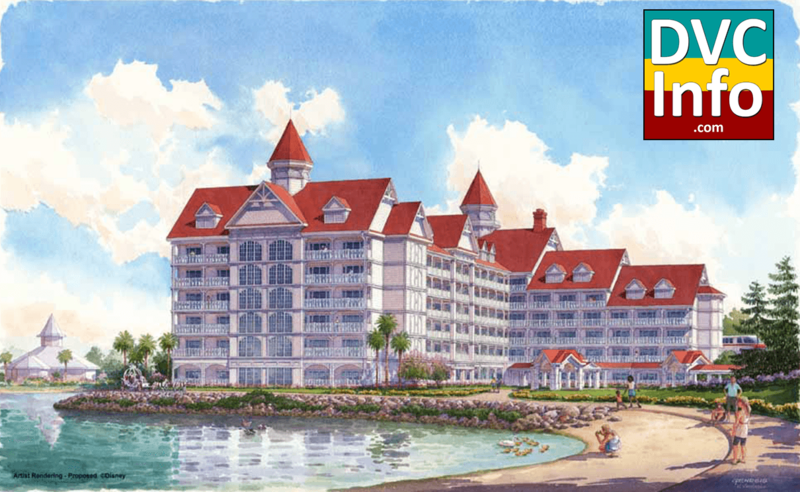 Walt Disney World is preparing to build an addition to Disney’s Grand Floridian Resort & Spa, the most expensive of the giant resort’s 17 hotels. A permit application submitted to the South Florida Water Management District describes a six- to seven-story, T-shaped building that will be connected via a covered walkway to the existing Grand Floridian. The nearly 900-room, Victorian-themed hotel, next to the Magic Kingdom, has standard room rates that begin at $440 a night. 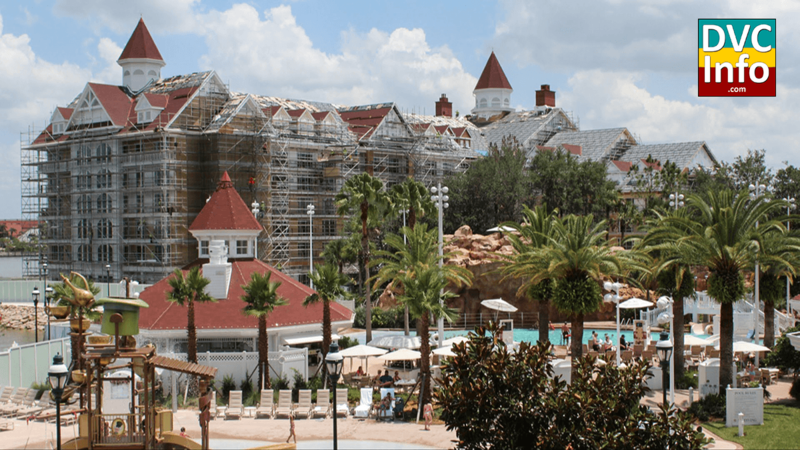 But the plans, which were filed with the water-management district earlier this month and quickly surfaced online in Disney fan forums, have touched off widespread speculation that the building will be used for Disney Vacation Club time shares. Disney would be following a familiar model if that’s what it does. The company’s newest time-share project in Orlando, the 15-story Bay Lake Tower, was built as an addition to Disney’s Contemporary Resort, another high-priced Disney hotel by the Magic Kingdom. Disney also has a history of attempting to keep its time-share projects quiet for as long as possible, for fear of undermining sales at already-open properties. Disney refrained from discussing its Bay Lake Tower plans until nearly two years after breaking ground on the project. Disney is currently peddling units in three open time shares at Disney World — Bay Lake Tower, Disney’s Animal Kingdom Villas, and Disney’s Saratoga Springs Resort & Spa — as well in an under-construction resort in Hawaii dubbed “Aulani.” That project, the first major resort Disney has built that isn’t tied to a theme park, is scheduled to open in phases beginning this fall. A new time-share project would be the first Disney has launched since the global recession and credit crunch, which decimated much of the time-share industry. Sales at Disney’s time-share business fell during the downturn; the unit generated an estimated $190 million a year in operating profit before the slump. Still, Disney says it has been happy with Vacation Club’s performance through the recession. “It has been a business that has been far more resilient than I think any of us internally would have thought,” Walt Disney Co. Chief Financial Officer Jay Rasulo said during an analyst conference earlier this month. Rasulo added that Disney prefers not to do lengthy pre-sales for its time-share developments. “We basically like people to be able to use their unit as soon as they buy in for the Vacation Club,” he said. Disney declined to discuss the pace of sales in Bay Lake Tower, other than to say it is “pleased with the continued popularity” of the project. 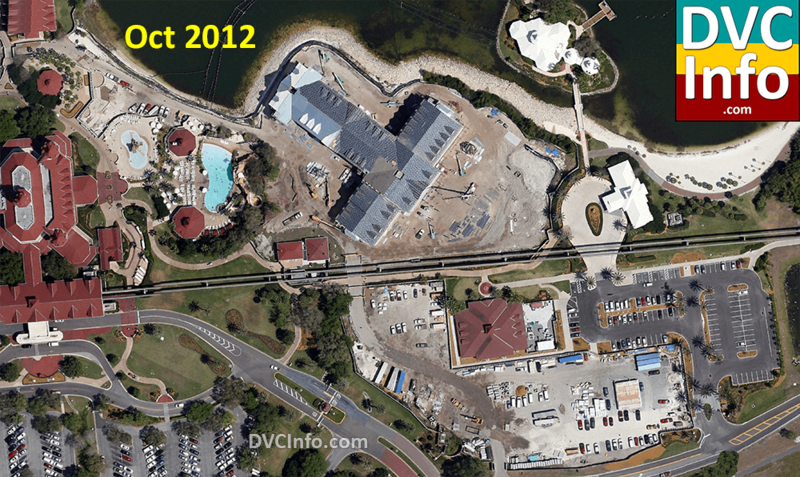 May 2010 – The same view with an overlay of where Disney plans to put VGF. Since 1991, the Disney Vacation Club logo has symbolized a unique approach to delivering vacation experiences at Disney Parks and beyond. Sporting a Mickey-eared sun rising above snow-capped mountains flanked by swaying palms and fronted by rolling waves, the logo was designed to change the way families think about vacationing with the mouse. Now, with Disney’s innovative vacation-ownership program having grown to include more than 500 vacation options across the globe, and with its member community having grown to represent more than 100 countries and every U.S. state, the Disney Vacation Club experience is about more than mountains, beaches and Disney Parks. It was with that growth in mind that artists recently re-imagined the logo by dramatically widening its perspective, topping the entire globe with those familiar ears. More than just shiny eye candy (though it’s hard to go wrong with shiny), the new logo represents an ongoing commitment to helping families expand their vacation horizons and travel in ways they never dreamed possible. Financial issues with a new Walt Disney Co. resort scheduled to open this month in Hawaii prompted the company to suspend all time-share sales for the project and force out three executives, including the president of its Celebration-based time-share business, according to several people familiar with the events. Disney on Friday fired Jim Lewis, president of Disney Vacation Club, the company’s time-share division. The company also dismissed Jim Heaney, senior vice president and chief financial officer of Disney Cruise Line and travel operations, and Lawrence Smith, a former director of finance for Disney Vacation Club who was most recently with food-and-beverage operations for Walt Disney World. The dismissals followed an internal investigation into problems surrounding Aulani, an estimated $850 million hotel and time share scheduled to open Aug. 29 on the Hawaiian island of Oahu. Plans call for the resort to have 460 Disney Vacation Club time shares and 359 conventional hotel rooms. Disney said Monday evening it had appointed Claire Bilby, a 23-year company veteran who had most recently been senior vice president of distribution marketing and Asia Pacific sales, to run its time-share business. 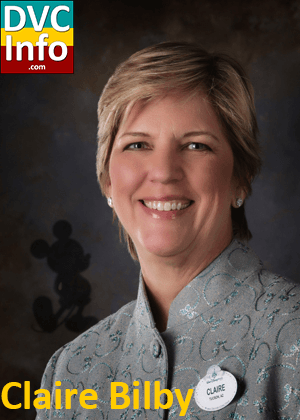 Bilby’s title will be senior vice president of Disney Vacation Club. According to the people familiar with details of the investigation, it focused on the annual dues that Disney Vacation Club plans to charge buyers of Aulani time shares. Those yearly fees are used to cover ongoing expenses such as the resort’s maintenance and repairs. Those people said Disney concluded that Vacation Club executives had calculated dues amounts so low that they would not generate enough money to cover the cost of maintaining Aulani. The inadequate dues amounts were included in legal-disclosure documents submitted to the Hawaiian government. Disney said Aulani’s operating costs were underestimated, leading to the inadequate annual dues. It said the mistake was unintentional. The low fees prompted concerns within the company that Aulani would eventually face a significant operating shortfall, the people familiar with the investigation said. The company also feared the possibility of a brand-damaging backlash from Hawaiian regulators or consumers should Disney attempt to significantly raise Aulani’s annual dues in future years to plug any deficit. All of the people familiar with the events spoke only on the condition that they not be identified because of the sensitivity of the issue. Langley said buyers who have already purchased points in Aulani will get a credit toward their annual dues equal to the difference between the original quoted amount and whatever higher price Disney sets now. She declined to say how many people have bought into Aulani so far. All time-share developers face pressure to keep maintenance fees as low as possible in order to drive sales. While such fees may seem a trifling issue when compared with the upfront sticker price of a time share — which can cost $50,000 or more — they can nonetheless be a significant deterrent for buyers. A 2009 survey for the American Resort Development Association, the time-share industry trade group, found that one in four recent time-share buyers cited annual maintenance fees as a top reason they had been hesitant about purchasing a time share. Tammie Kaufman, a professor in the University of Central Florida’s Rosen College of Hospitality Management, said many buyers are wary because dues are a recurring expense that can increase from year to year. “It’s because of the unknown. People have heard horror stories” about dues, Kaufman said. 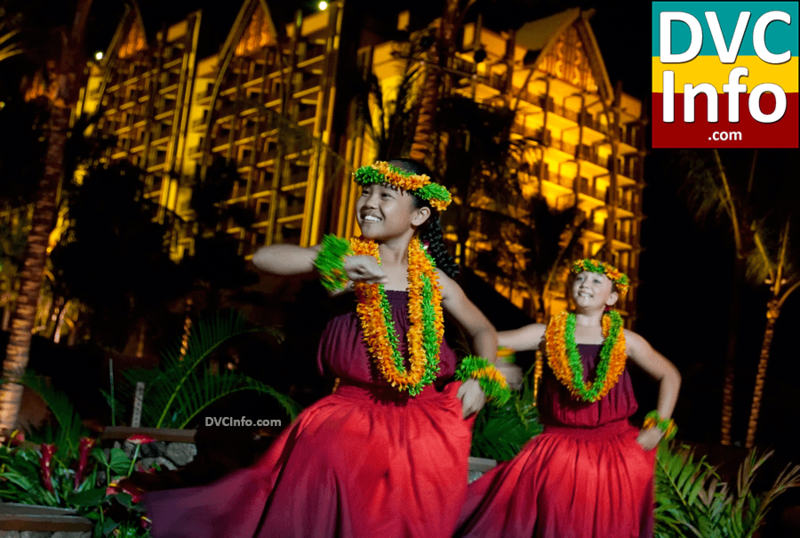 Aulani’s performance is being closely watched by Disney investors. The project is the first test of the company’s strategy to build standalone hotels and niche parks in secondary markets away from its massive theme-park resorts in Orlando and Anaheim, Calif., as Disney’s parks division searches for new sources of growth in North America. None of the three executives fired Friday received a severance package, according to a person who spoke with one of the men. The dismissal marks a shocking fall for Jim Lewis, once considered a rising star within Disney’s executive ranks and a leading candidate to become president of Walt Disney World, the company’s biggest and most profitable theme-park operation. 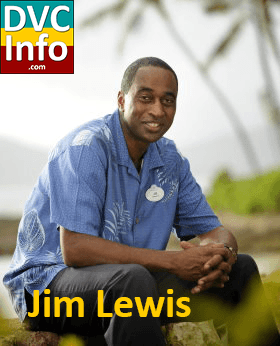 Lewis joined Disney in 1996 from PepsiCo as a director of planning and finance for Disney’s sales unit. He was tapped to oversee Disney Vacation Club in 2003, and under his watch the unit became the fastest-growing business within Disney’s global theme-park division. At its peak before the global recession, Disney Vacation Club generated an estimated $190 million a year in operating income. Lewis did not return phone messages Monday. Aulani, A Disney Resort and Spa located on 21 acres in west Oahu’s Ko Olina Resort & Marina, opens August 29, 2011. Last night, in a ceremony filled with Hawaiian tradition and Disney magic, Bob Iger and I [Tom Staggs] had the privilege of officially opening Aulani, our new resort and spa on Oahu. We shared the stage with dozens of Hawaiian performers, scores of Aulani cast members and of course, Mickey and Minnie Mouse, to celebrate another milestone in the incredible story of Aulani. With invited guests, local Hawaiian officials and members of the media in the audience, the Grand Opening Ceremony took place on the beach of Aulani’s lagoon with the resort itself serving as the backdrop. It opened with an “oli pale,” a Hawaiian blessing, which was followed by a powerful performance by drummers, dancers and singers, including Keali’i Reichel, one of Hawai`i’s most popular artists who wrote a beautiful chant specifically for Aulani. Then came time for the official dedication of the resort so Mickey and Minnie joined Bob and me onstage to do the honors. To symbolize the joining of the Hawaiian culture and the magic of Disney, we placed some sand from our beach into an ‘umeke, a ceremonial wooden bowl, and mixed it with – what else – some pixie dust. From the very beginning we have committed ourselves to ensuring that Aulani embraces and celebrates the unique Hawaiian culture and traditions. We are grateful for the warm welcome we have received from the local community and I’d like to thank the Imagineers, cast members, construction teams, local artists and everyone who had a hand in bringing Aulani to life. Their passion, commitment and talent can be seen in every detail of this spectacular resort and I can’t wait for our guests from around the world to experience it themselves. The Walt Disney Co. has been given permission to raise its fees by 33 percent for those who buy time shares at its new, $850 million resort in Hawaii, as the company attempts to fix a financial error that cost three Central Florida executives their jobs. The approval, granted Thursday by Hawaiian state regulators, clears the way for Disney to resume time-share sales at Aulani, a massive hotel and time share that opened Aug. 29 west of Honolulu on the island of Oahu. “We have resumed closing sales for Aulani in Hawaii and hope to follow suit in our other sales locations shortly,” said Rena Langley, a spokeswoman for Disney Vacation Club, the company’s Celebration-based time-share arm. Disney must now submit updated consumer-disclosure materials to regulators and other states. The company will begin with Florida, California, New York and Illinois, its most-important sales markets. Disney suspended Aulani time-share sales on July 9 after an internal investigation found that executives had underestimated the annual dues it needed to charge time-share buyers to cover the resort’s operating expenses. The discovery sparked concerns within Disney that Aulani would eventually face an operating loss or would have to jack up its dues in later years, potentially alienating customers. Now, however, Disney will charge $5.73 per point — a 33 percent increase. The increase works out to about $180 more per year for someone who buys just enough points to spend a week in a studio unit at Aulani during the slowest time of the year. It would add almost $850 more a year for someone who buys enough points for a week in a two-bedroom, ocean-view room during the busiest parts of the year. Disney won’t say how many buyers have already purchased points in Aulani, which first went on sale in July 2010. The company says those buyers will get an annual credit towards their dues to account for the new price discrepancy. The resort will have 481 time-share villas and 359 hotel rooms. Aulani is a hugely important project for Walt Disney Parks and Resorts and the division’s hopes for future growth in North America. If it is successful, the company hopes to build more such standalone resorts or smaller, niche theme parks in secondary markets away from its world-famous, multi-park resorts in Central Florida and Southern California. Disney considers developing a DVC resort at Fort Wilderness. 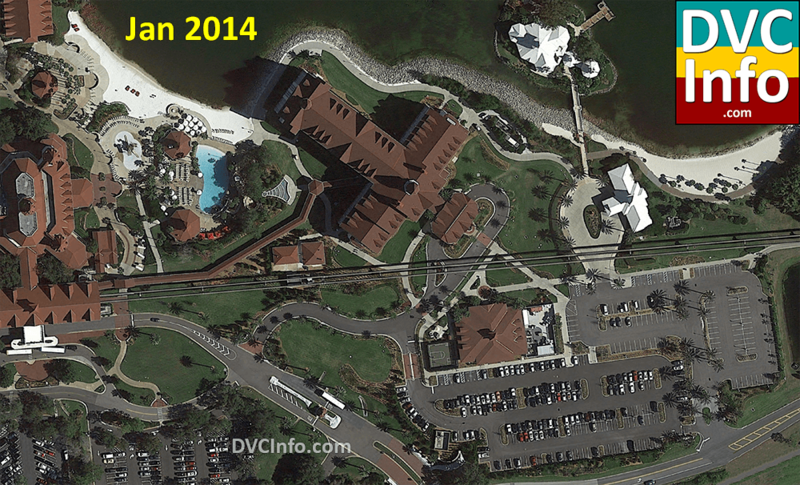 Rumors started leaking out in October 2010 that this might be the next DVC. Plans dated September 30, 2011 for “Project 2011-2” at Fort Wilderness were created, but the plans never came to fruition. Only time will tell if DVC turns its attention to a Fort Wilderness DVC. Below are the site plans. The drawing below showed the overall layout of the buildings. Above is a concept video. Walt Disney Co. announced Friday that it had canceled plans to build a 500-room resort hotel at National Harbor, dealing a blow to an ambitious project that is seen as an integral part of the economic future of Prince George’s County. The Walt Disney Co.’s time-share business said Thursday it will build an addition to Disney’s Grand Floridian Resort & Spa, the highest-priced company-owned hotel at Walt Disney World. 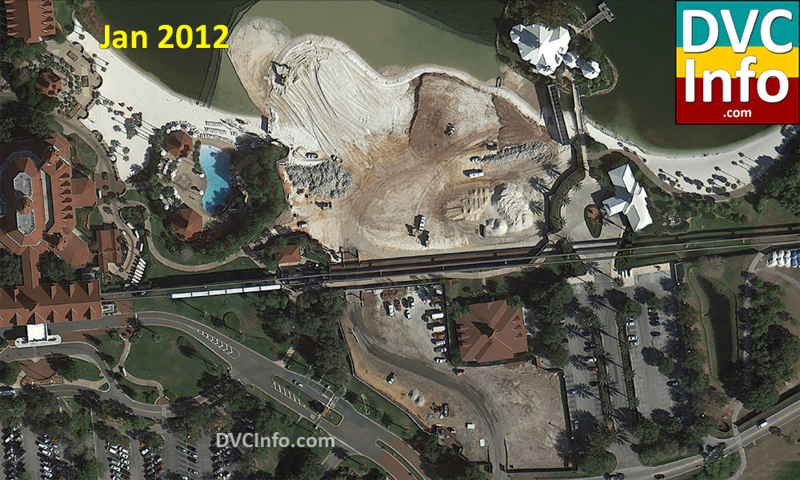 Disney said the resort is expected to open in late 2013. The new building will be exclusively time-share units and will include a children’s water-play area, among other amenities. 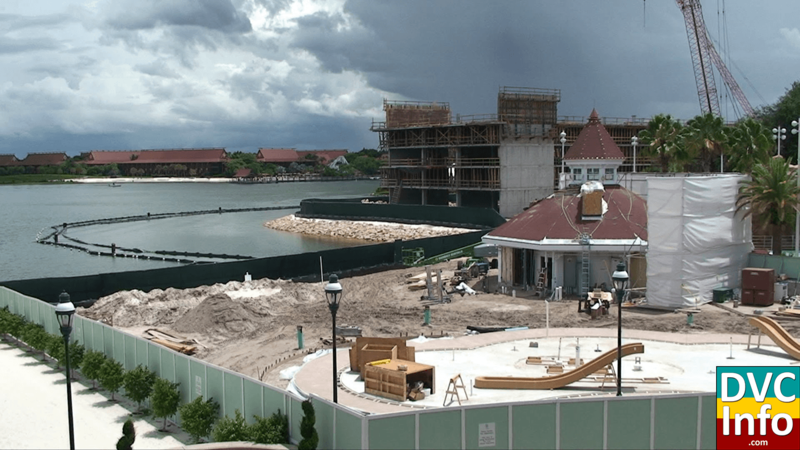 The project should inject some high-demand inventory into Disney Vacation Club, which was one of Disney Co.’s fastest-growing businesses before sales ebbed during the recession and the anemic recovery that has followed. 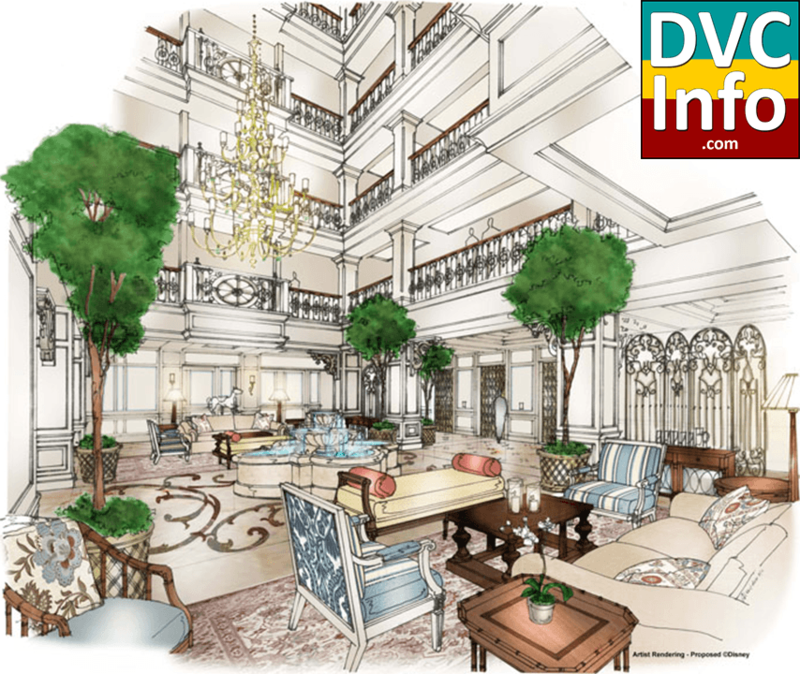 The Victorian-themed Grand Floridian is Disney World’s most luxurious hotel and is adjacent to the Magic Kingdom, the busiest theme park on the planet with more than 17 million visitors a year. It will be the second time-share property Disney has built along the Magic Kingdom monorail, joining Bay Lake Tower, an addition to Disney’s Contemporary Resort that opened in August 2009. Although Disney does not report specific financial results for its time-share business, the company said sales of Disney Vacation Club units fell during its most recent quarter, which ended Oct. 1. Disney is currently peddling interests in four resorts: Bay Lake Tower, Disney’s Animal Kingdom Villas, and Disney’s Saratoga Springs Resort & Spa, all of which are at Disney World; and Aulani, a hotel and time share the company opened this summer in Hawaii. 1991: The original Disney Vacation Club Resort (renamed Disney’s Old Key West Resort in 1996) welcomes its first Members home. 1992: Walt Disney World golf courses begin offering Member discounts and the first Member magazine mails to all 2,700 Members, delivering 12 pages of news and information. 1993: Accommodations at the Disneyland Resort in California and Disneyland Paris in France join the collection of options available to Members. 1994: Disney Vacation Club begins allowing Members to borrow 100 percent of their next use year’s vacation points (previously 50 percent), further enhancing the flexibility of Membership. 1996: The number of Disney Vacation Club Resorts in the neighborhood doubles with the addition of Disney’s BoardWalk Villas at the Walt Disney World Resort and Disney’s Hilton Head Island Resort in South Carolina. Disney Theatrical Productions introduces a Member discount, the first in a series of periodic Disney On Broadway perks that continues today. 1997: Disney Cruise Line bookings begin as the voyages join the growing collection of options available to Members. 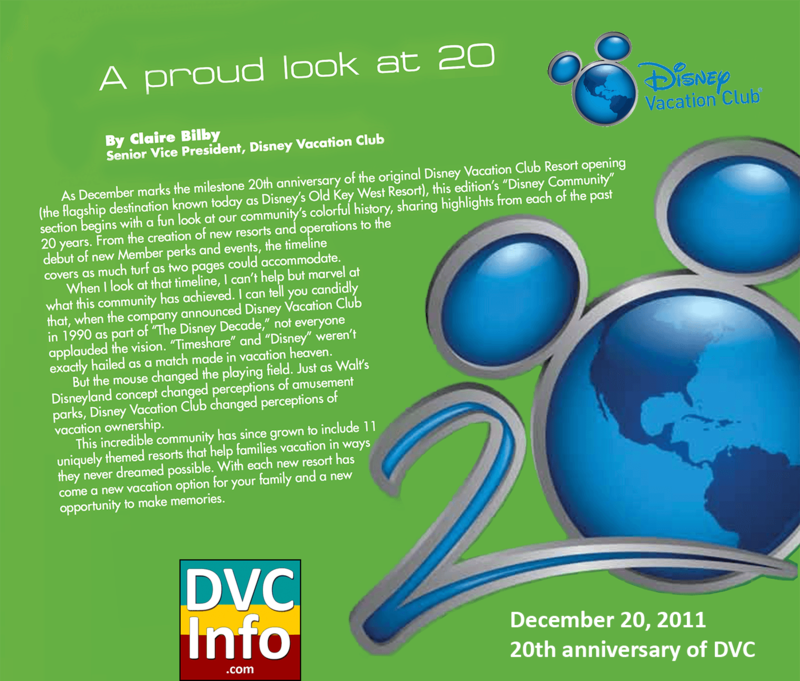 DVCMember.com launches. 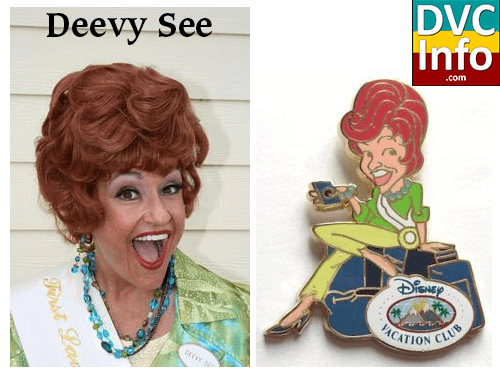 1998: The Richard Petty Driving Experience and Sammy Duvall Watersports Centre are among the recreational operations at the Walt Disney World Resort that begin offering Disney Vacation Club Member discounts. 1999: Disney Vacation Club establishes sales operations on Disney Cruise Line ships, paving the way for Member celebrations to be part of Disney Cruise Line voyages. 2000: The Villas at Disney’s Wilderness Lodge opens. 2001: Disney Vacation Club begins celebrating its milestone 10th anniversary. 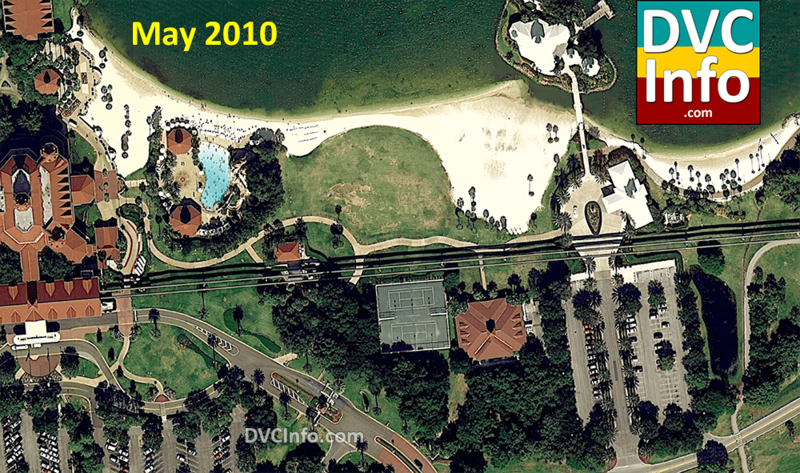 2002: Disney’s Beach Club Villas opens and Members sail on the first S.S. Member Cruise, a half-charter voyage. 2003: The S.S. Member Cruise becomes an annual, full- charter event and Members gather for a summertime “Member Day” event at Disney’s BoardWalk Resort. 2004: Disney’s Saratoga Springs Resort & Spa opens and hosts a grand Member Homecoming event. In other spa news, our friends at Nikki Bryan introduce their Member spa and fitness center discount. Members enjoy the first Disney Vacation Club holiday party at the Walt Disney World Resort. 2005: Members begin enjoying an enhanced discount on select Walt Disney World Annual Passes, Disney’s PhotoPass Service introduces a Member discount, a variety of Member Perks debut at the Disneyland Resort in California as Disney Vacation Club establishes operations in Anaheim, the Member magazine adds Disneyland news and expands to 28 pages, and Disney Vacation Club debuts two new Member events at the Walt Disney World Resort – “Spring Swing” with the Atlanta Braves and “Summer Block Party” at Pleasure Island (both events returned in 2006). 2007: Member Services expands its operating hours, the Disney Dining Plan becomes available to Members, Disney Vacation Club’s Disney Doorway to Dreams store opens near Chicago and Members celebrate the announcement of Disney’s Animal Kingdom Villas by attending a “Summer on the Savanna” event at the Walt Disney World Resort. The Market Metrix Hospitality Index ranks Disney Vacation Club No. 1 among timeshare-industry accommodations. 2009: Members enjoy the broadest expansion of Disney Vacation Club Resorts in our community’s history, growing to 10 resorts with the addition of Disney’s Animal Kingdom Villas-Kidani Village, Bay Lake Tower at Disney’s Contemporary Resort and – our first West Coast property – The Villas at Disney’s Grand Californian Hotel & Spa. Members’ accommodation options grow further this same year with the addition of the Treehouse Villas at Disney’s Saratoga Springs Resort & Spa. Disney Vacation Club opens a Disney Doorway to Dreams store in New York and launches an online broadcast series called “Disney Traveler,” which would welcome travel guru Samantha Brown as its host in 2011. 2010: Disney Vacation Club opens a Model Showroom at the Tokyo Disney Resort and a preview center on the Hawaiian island of O‘ahu. “Disney Storybook Vacations,” a Disney Vacation Club broadcast special starring real Member families, begins airing in select television markets. Reflecting Members’ ever-growing visibility on the Disney radar, Walt Disney Pictures screens its inspirational lm Secretariat on the S.S. Member Cruise, weeks before the lm hits theaters. The American Resort Development Association honors Disney Vacation Club with its ACE Employer Award for being an outstanding place to work.